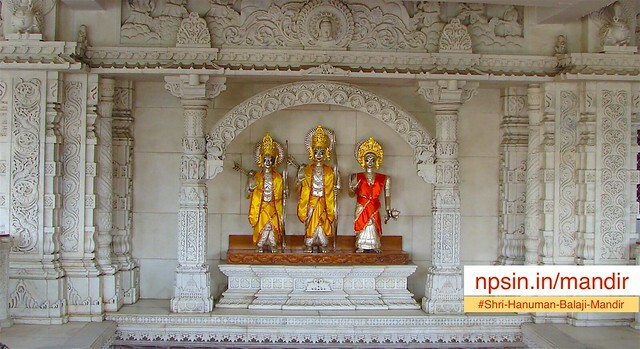 Lord Ram`s birthday Ram Navami celebrated on ninth day of Chaitra Navratri. Devotees take holy dip into river Sarayu in Ayodhya the birthplace Purushottam Shri Ram Chandra. Bhajan, Kirtan, Ramayan Path, Fasting, Shobha Yatras and Rathayatras are organized with regards to Shri Rama, His wife Mata Sita, His younger brother Shri Lakshmana and Shri Ram bhakt Hanuman Ji. Following are the places where Shri Ram visited during this avtar. Ayodhya Uttar Pradesh, Sitamarhi Bihar, Janakpurdham Nepal, Bhadrachalam Telangana, Kodandarama Temple Andhra Pradesh, Vontimitta Andhra Pradesh, Rameswaram Tamil Nadu.